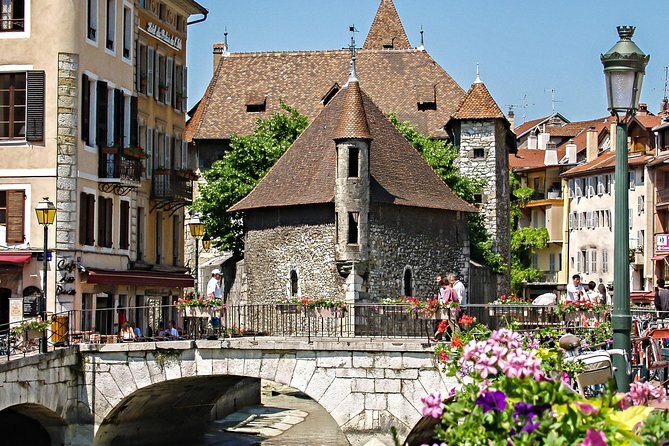 Discover the charm of Geneva and Annecy on this combination sightseeing tour. Start with a 2-hour tour of Geneva to see top attractions like the UN headquarters, the Flower Clock and Geneva Old Town. Travel by coach, tram and foot with an expert guide, followed by an optional 1-hour Lake Geneva cruise. 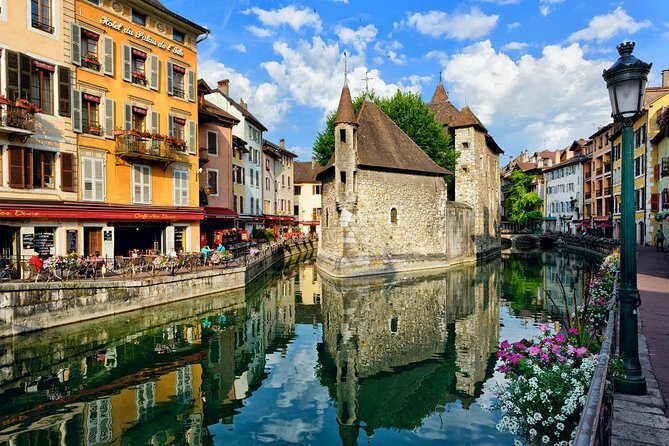 In the afternoon, cross the border into France to explore the enchanting Alpine town of Annecy, whose medieval Old Town is a sight to be seen. Throughout the day, enjoy informative commentary from a knowledgeable guide. Private transfer to Annecy-the “Venice of the Alps”. We will wander around to explore the delightful Old town, which was built in the Middle Ages. Visit the central landmark of Annecy – Palais de I’lsle. Discover the Chateau d’Annecy and much more. An unusual itinerary to discover the treasures of the lyonnaise region. Amazing sceneries, history and local specialities will make this day a unique experience 100% made in France! Then you will take the road again to arrive in Annecy for lunch. The perfect opportunity to taste the local cuisine. Rich and delicious mountain cheese-based dishes. During the afternoon you will be able to discover the city on your own, walking around in the beautiful cobblestone streets. Cruise, cheese factory tour…you will have several options, don’t hesitate to ask your driver-guide for advice! 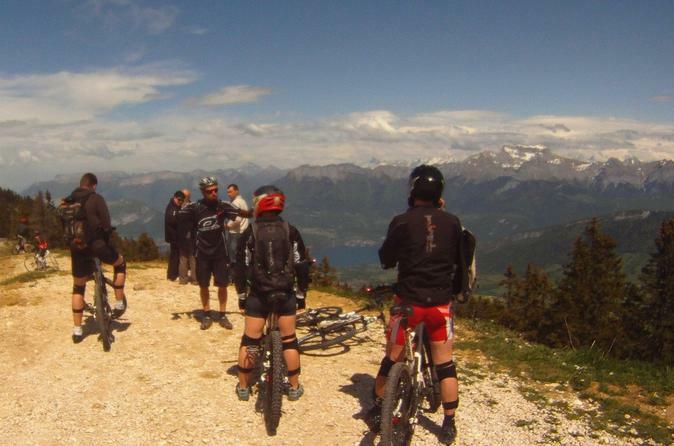 Incredible Mountain bike spot: Le Semnoz, famous for its nature trails and 360 ° view. 1200 m elevation in the company of our monitor on a full suspension bike, from the summit of Semnoz to Annecy. 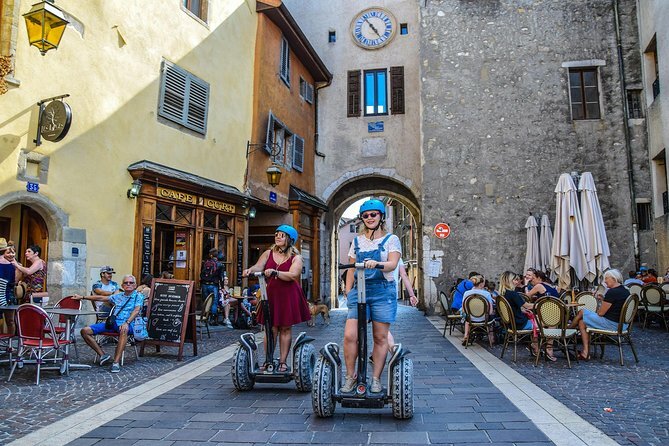 Discover the pleasure of riding on a Segway©. Enjoy this one hour tour that is perfect for getting a view of Annecy Lake.. 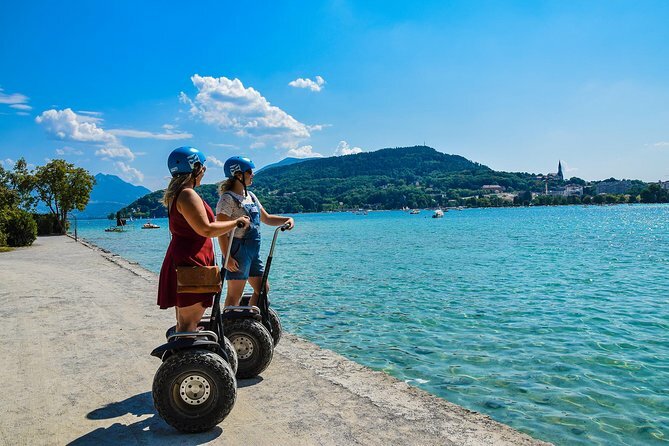 Enjoy this one hour tour that is perfect for getting a view of Annecy Lake. 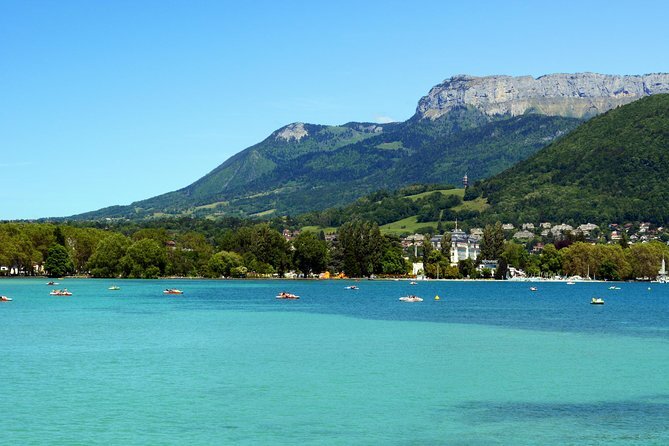 Marvel at the picturesque Lake Annecy with its crystal clear waters and stunning historic town. Nicknamed the ‘Venice of the Alps’ this wonderful town is the jewel of Alps. Colourful buildings perched next to waterways house endless restaurants, bistros and boutique shops. A steep walk to the top of the Old Town reveals the impressive Chateau D’Annecy. The Wonderful Lake that surrounds the town is one of the most pristine in Europe. Boat tours around the Alpine lake are highly recommended to finish of the day. 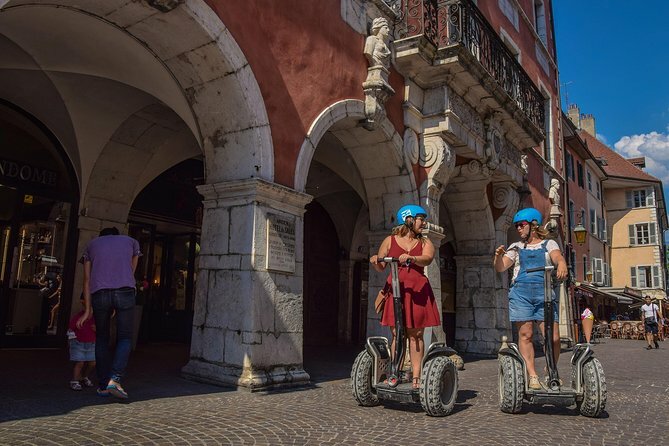 Enjoy this fun and amazing experience on a Segway© during this 1.5 hour tour. 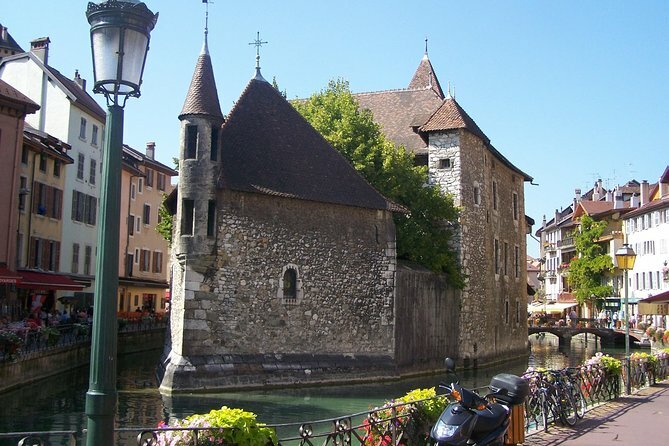 You will also discover the city of Annecy, in France. 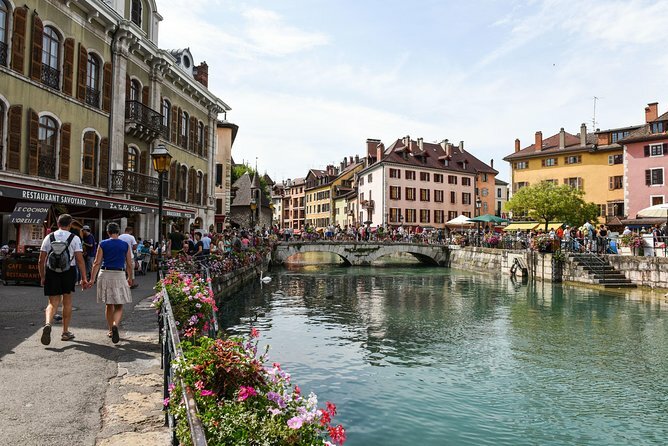 Nicknamed the "Venice of the Alps", Annecy offers a harmonious and romantic atmosphere. Surrounded by mountains, the city offers amazing views of the purest lake of Europe.